One of the few teachers certified with Patthabhi Jois. Her devotion to Yoga since young age and her experience gave her a depth knowledge of the practice. She teaches with great experience and professionality. She transmits to each student the teachings of her teacher with generosity, purity and authenticity. Tina Pizzimenti, doctor of psychology at the University of Paris La Sorbonne approached to practice yoga and Eastern meditation practices at an early age, studying different methods (Iyengar, Satyananda, Sivananda, Kundalini). In 1988 she went to India to assimilate the culture and Indian philosophy, looking for a spiritual teacher and after traveling for a few months finally arrived in Mysore where the meeting with Shri Pattabhi Jois Ashtanga definitely brought her to devote Yoga. 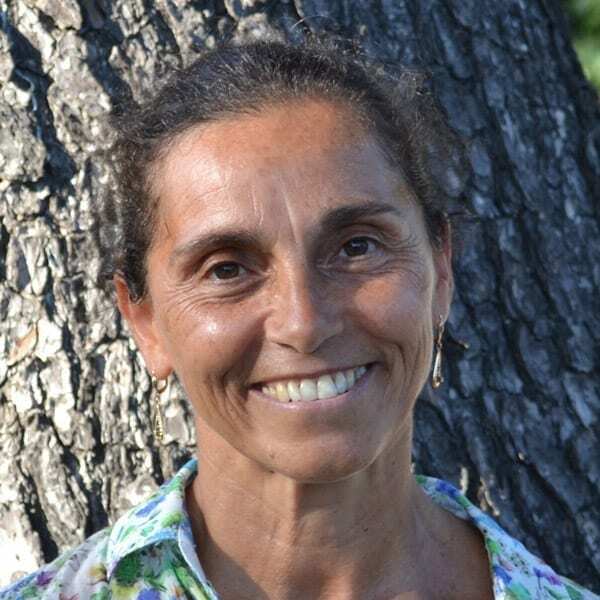 In 1994 she received the certification as a teacher of Ashtanga Yoga by Pattabhi Jois and thanks to her this ancient discipline was brought widespread in Italy. In 2000 she founded the Ashtanga Yoga School of Rome. Expert in Vipassana meditation, graduated in naturopathy, her approach to yoga respects the traditional method. After more than thirty years of teaching, in Italy and abroad, her passion and dedication to yoga are unchanged. Tina teaches with care, dedication and professionalism the traditional method of Ashtanga Vinyasa Yoga. She daily follows practitioners with a particular attention to the needs of each person with simplicity and generosity. She has become an important reference point in Rome for yogis and yoginis.